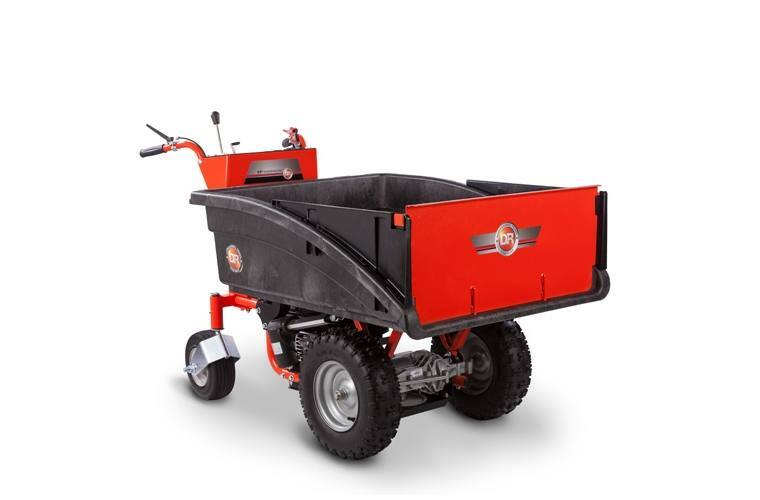 The PRO-XL Powerwagon is fully loaded for the ultimate ease in self-propelled hauling and dumping. 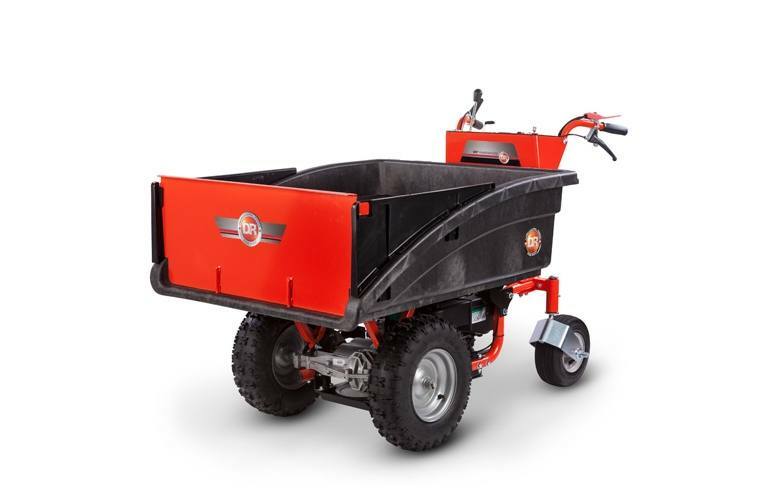 Features Powered Dumping that lets you unload up to 800 lbs of cargo with the push of a button. 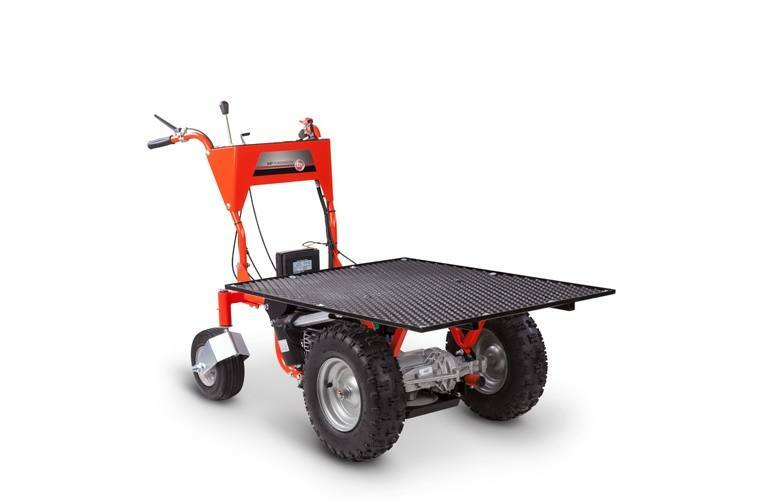 Includes a Flatbed Kit that lets you haul long or stackable loads with ease. 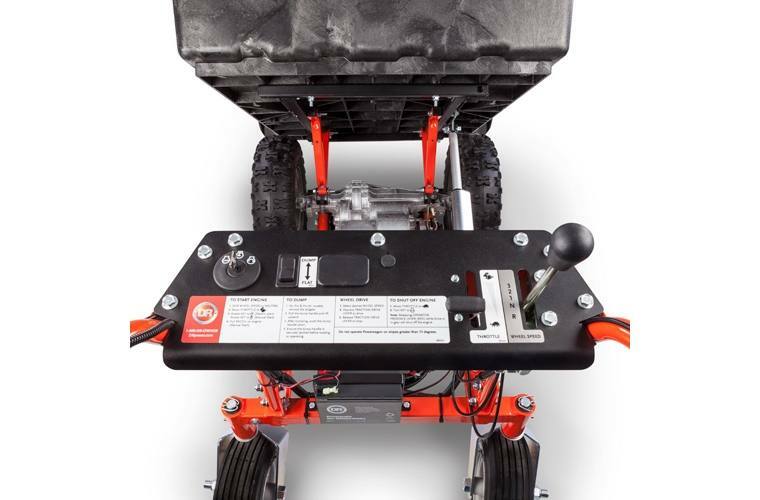 Powered Dumping: With the push of a button, a powered Actuator tilts the cargo bed of the PRO-XL for unloading. 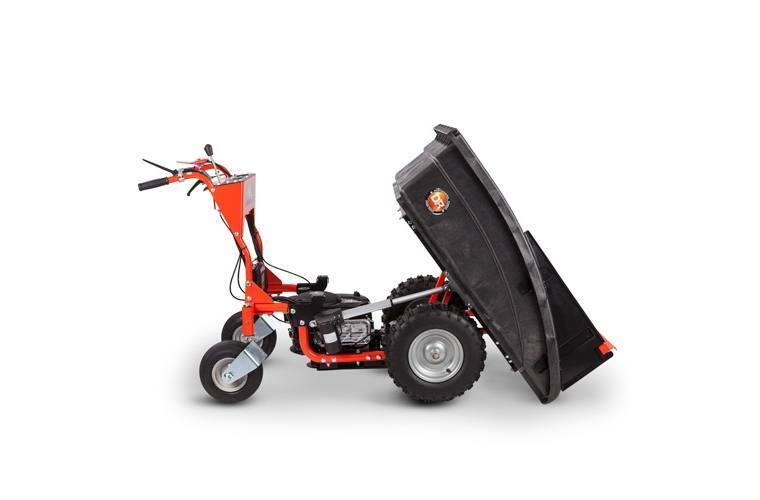 The steep 60° dump angle empties the bed thoroughly, minimizing the need for raking out materials. 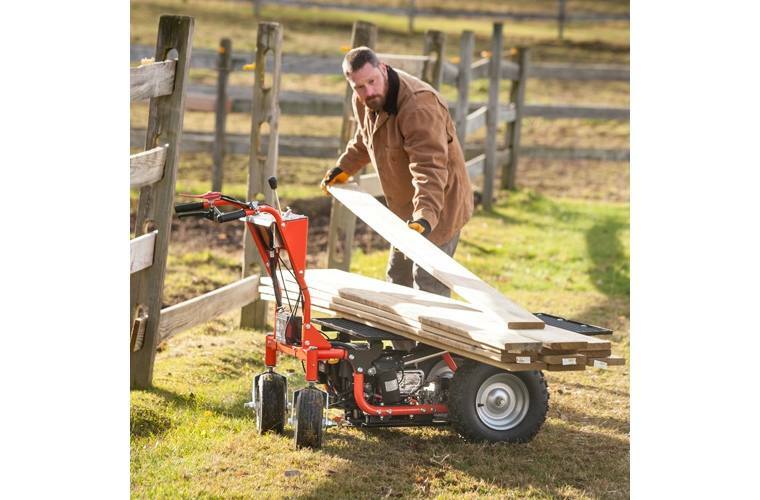 Converts to a Flatbed: The PRO-XL model converts to a flatbed configuration in less than ten minutes, greatly expanding your range of uses. The flatbed is ideal for carrying long or stackable loads like lumber, feed bags, cinderblocks, furniture...you name it! Gear-Driven Transmission: 3 forward speeds and powered reverse let you match your travel speed to your walking pace and maneuver in tight spaces. 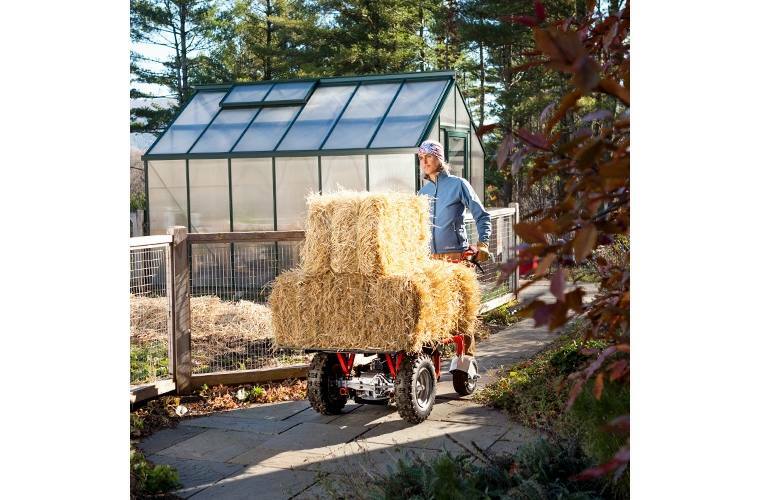 MUCH More Maneuverable than ANY Trailer! : The two rear wheels rotate 360° giving the Powerwagon a very tight turning radius. This means you can go into all kinds of spaces you could never take a trailer...through gateways and barn doors, into wooded areas, on narrow trails, etc. Briggs & Stratton Engine: With 8.75 foot pounds of torque (190 cc) this engine will power loads of up to 800 lbs with ease. 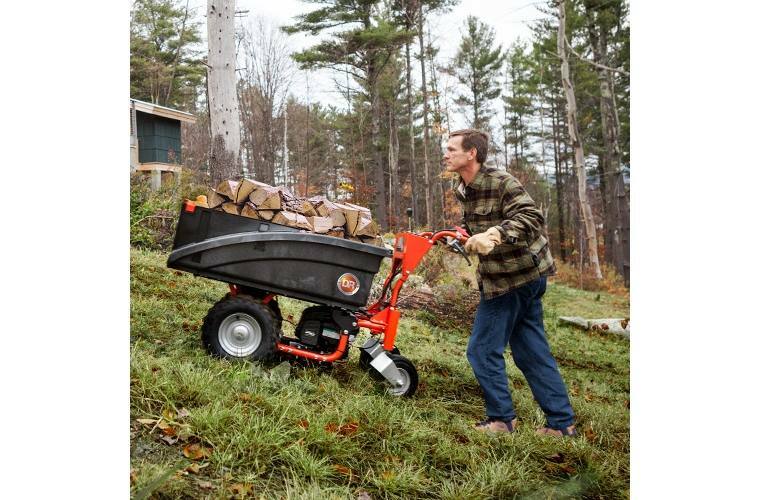 With turn-key electric starting, it features a debris management system that protects the engine from whatever you kick up while you’re cutting. 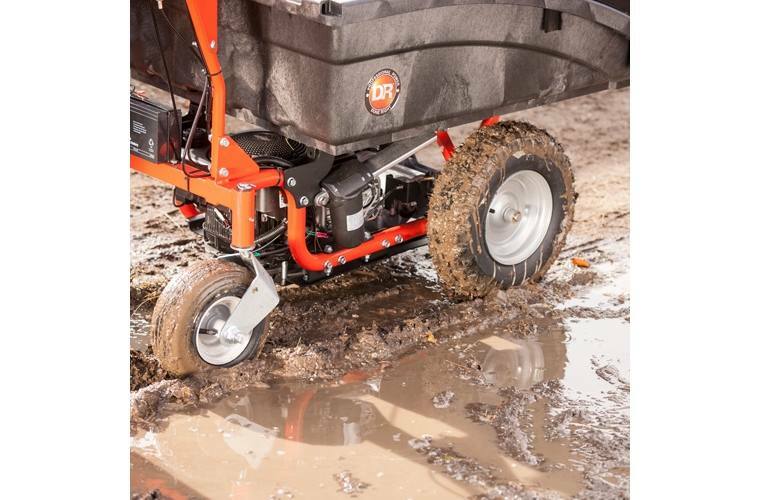 Disc Brake: A powerful hand-actuated disc brake lets you check the speed of a fully loaded cargo bed when operating on slopes. The brake lever is also lockable to keep the machine in place when not in use, and to add stability during loading or unloading.